Inventory is the most wanted feature and available now from v2.0.0 . Now if you have 5 same products, you don&apos;t need to create 5 individual products for them. 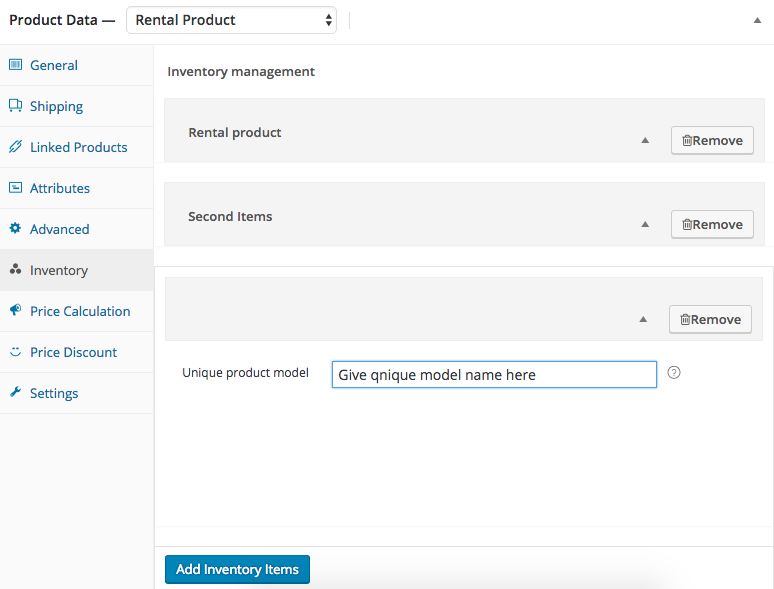 You just need to create 1 product from inventory tab you need to configure these 5 same items. 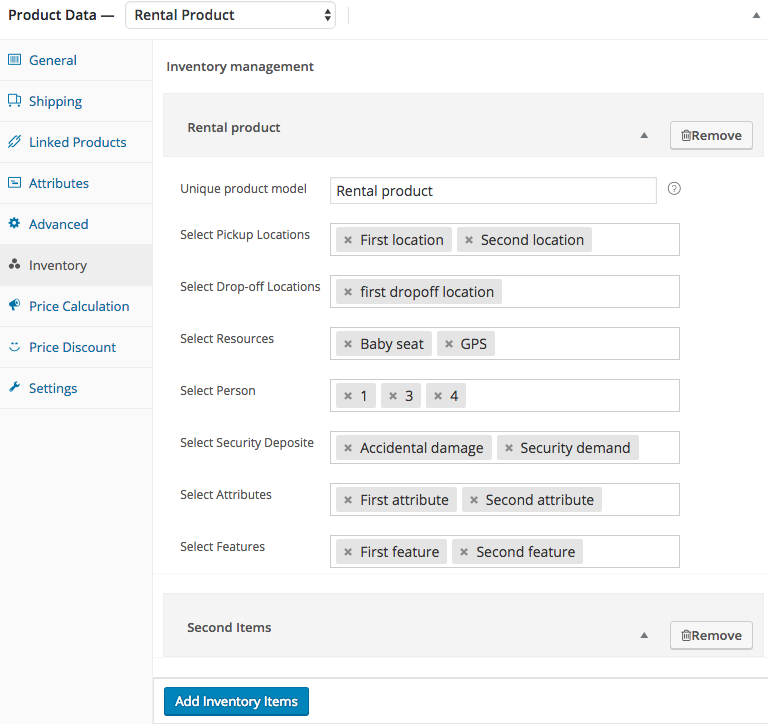 Now every payable or non-payable attributes such as pickup location, drop-off locations , resources , person, security deposite , attributes , features are controlled with this inventory tab. If you don&apos;t set any inventory item, during product creation one default inventory item will be create with product name automatically. Then by editing inventory item you can set pickup location, drop-off locations , resources , person, security deposite , attributes , features. First you need to create your pickup location, drop-off locations , resources , person, security deposite , attributes , features. from each particular taxonomy which are available in Inventory post type. Inventory full work in two steps.When you first add an inventory item the attributes fields like resources, persons , deposits , location will not appear (like first screen-shot). In this situation, you&apos;ve to click the update button of the product. Then click the expand icon of inventory item then you will find these fields to attach the attributes (like second screen-shot).